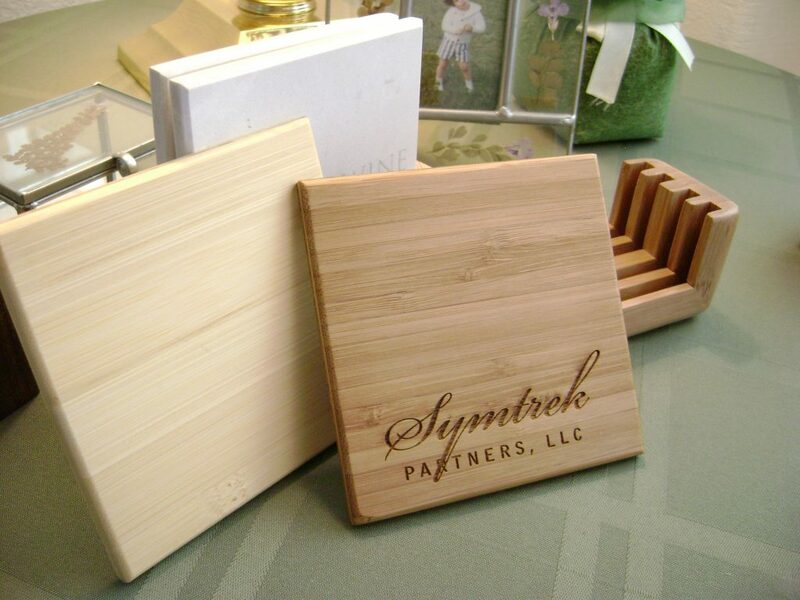 Eco-Bamboo Coasters are offered with engraving, tung oil finish, felt bumper pads, and many options such as holders and presentation formats. 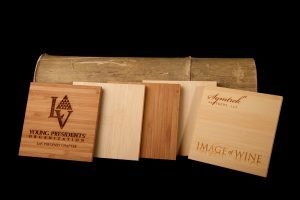 Great for promotions, branding, favors, incentive sales item. BAmboo is Beautiful, Eco friendly and is natural. Eco-Bamboo Coaster – Made of Moso bamboo is caramelized giving it a light brown color. Moso is a highly renewable resource ideally suited for flooring, cabinets, counter tops, room dividers and cutting boards. Bamboo is a very resilient wood that has unique visual features coming from the rings/nodes on the culm/stem. 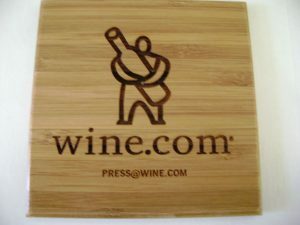 Logo’s or text are engraved using a laser give a very nice image.